Major advantage of netbanking is that you aren’t limited by a 9 to 5 slot for banking. With netbanking, you can carry out transactions anywhere, anytime. Also you save a lot of time commuting to the bank branch, or waiting in long queues inside the bank. You can also carry out transactions from the comfort of your home or office. You get to view the most up-to-date account balance and other figures through netbanking. Some banks like HDFC allows account holders to carry out more than 200 transactions through the netbanking login. 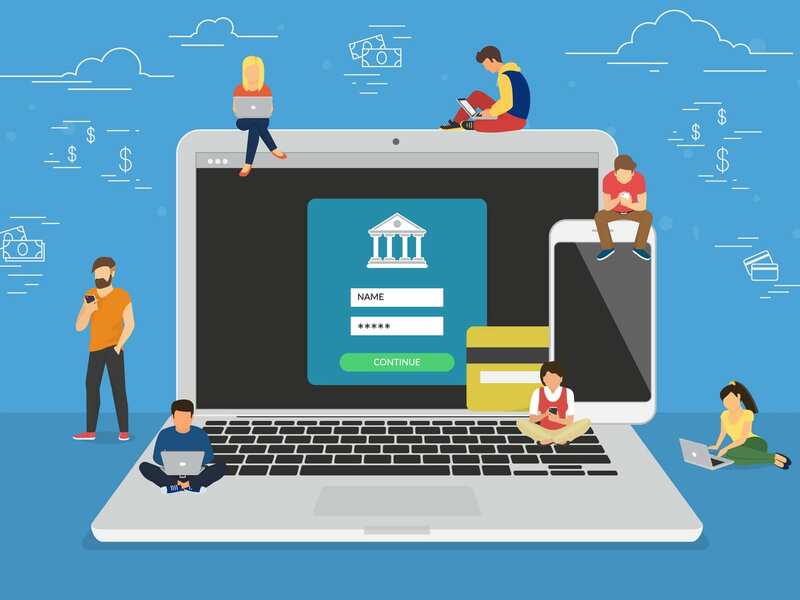 Banks have implemented two to three levels of security checks to ensure that only the authorized person can transact from a particular login. In addition to the basic login credentials, steps like transaction passwords, OTP sent to registered mobile, and a secure ‘questions and answers’-based access (by HDFC) ensures that no unauthorized person can carry out online shopping or making online purchases with your netbanking access. This multi-layered security system makes netbanking a preferred way for many people to carry out transactions or make purchases online. When you access the SBI netbanking portal, you are asked if you are a new user or an existing user. If you are a new user you can click on it and follow the steps to register yourself for the netbanking. If you have been provided with an Internet Banking Prepaid Kit (PPK) you need not do the steps as you will already have the login and password. You can now enter your mobile number, and the type of facility (“Full or Limited Transaction Rights” or “View Rights”). You will be shown a captcha code. Enter the code and hit ‘submit’. You will be sent an OTP (One Time Password) on your mobile. This will need to be entered now. Now you will need to keep your debit card details handy. Key in your Card Number and ATM PIN to verify identity. Click here to use the online banking site for HDFC. You would have got a 9-digit customer Id in your welcome kit when you opened a new bank account with Axis Bank. You would need this ID to register yourself for the Axis Bank netbanking. Select the ‘first time user’ option. For this, you will need your registered mobile number and debit card ATM PIN. First time netbanking customers can click here to get started post registration. You need to download this form and submit it at the bank branch to activate netbanking account. Once activated you will get a ‘successful registration’ message. Use this and your debit card ATM credential and validate your account to proceed ahead. With these steps you can unlock a world of convenience through netbanking. Make sure to use these options to activate and start using your own online banking with your bank account.